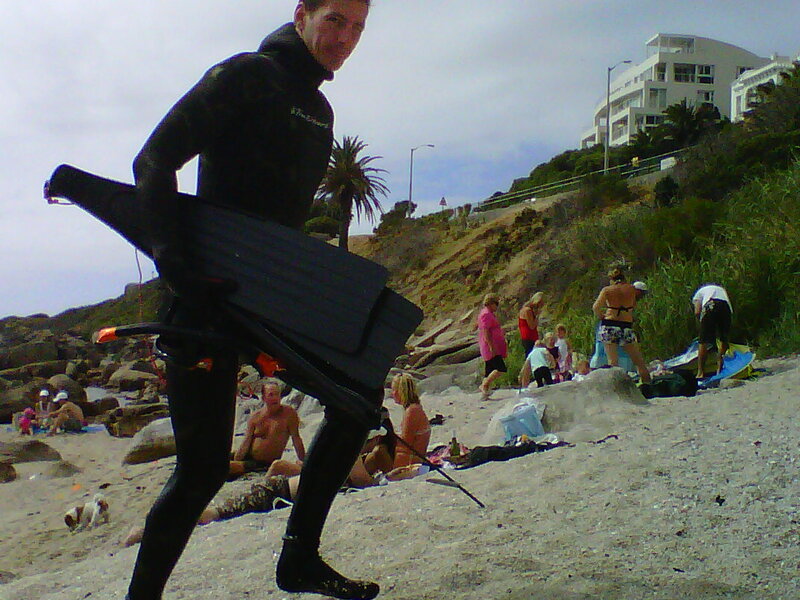 Getting ready for my first time in the water, DAMN I love the way my suit looks. I should be a Navy Seal. 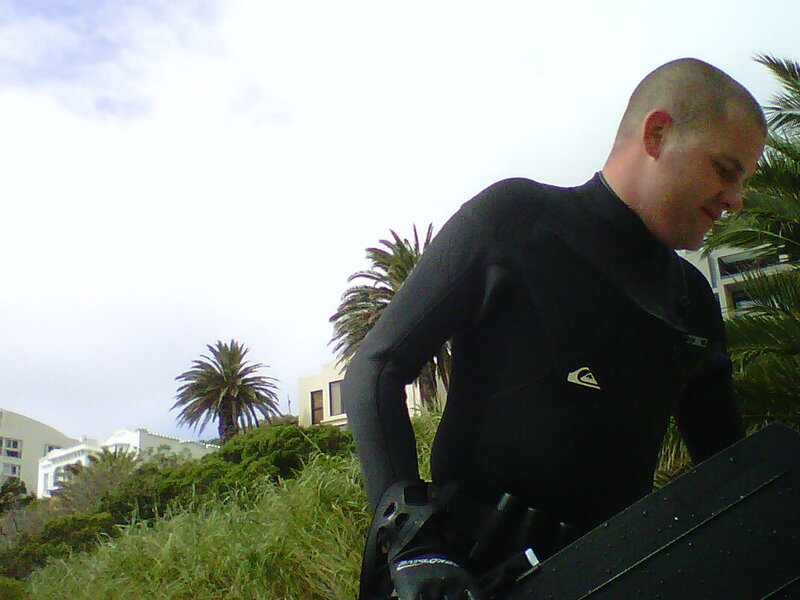 Well this was taken at Bakoven Beach, just up from the Pick n Pay in Camps Bay, nice little cove there, pretty much protected from the elements and the seas normally is all that rough. 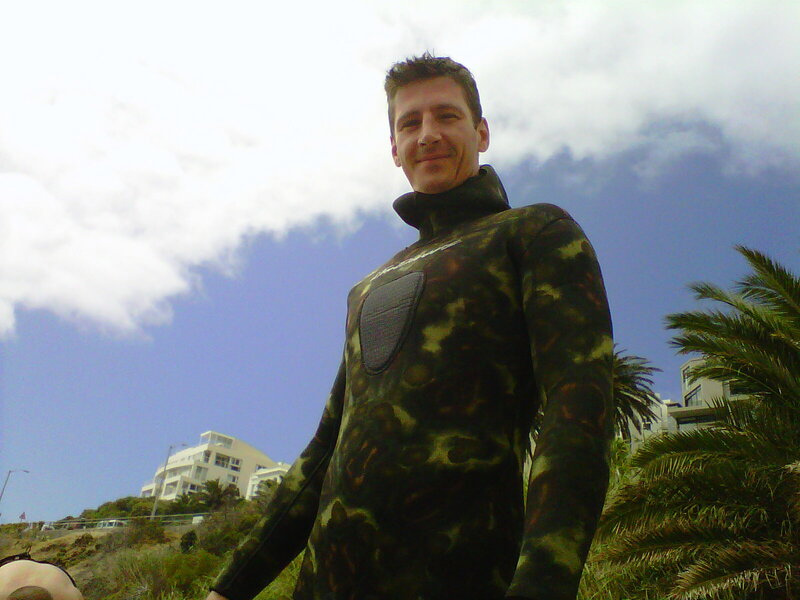 Well, John and myself got dressed and headed into the water, which is always warm in my 5mm suit, but poor John uses his 4mm Surf suit, so he feels the cold a little. Over all the dive was great fun. Vis was decent, surge and swell was non-existent but alas there were no fish to be seen, almost 2 hours in the water and we didn’t see anything worth shooting. Me coming out the water. This is me coming out of the water after 2 hours, honestly I could have stayed in for twice as long, but we had other friends and girl friends awaiting our return. This is John, shame, he really does feel the cold in his little 4mm suit with no hood. Hopefully he will be getting a proper suit soon, but for the mean time this will suffice.